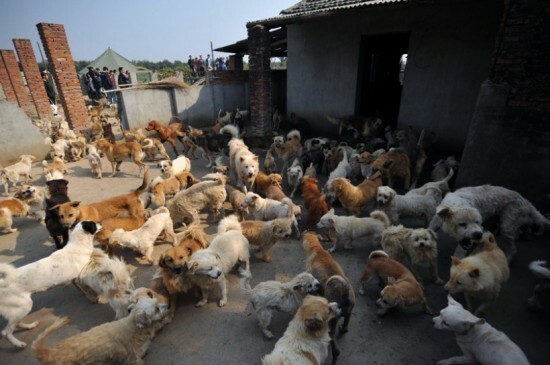 Ha Wenjin, a dog lover from China, has given up her job, sold her house, car and jewelry to take care of over 1,500 dogs and 200 cats. 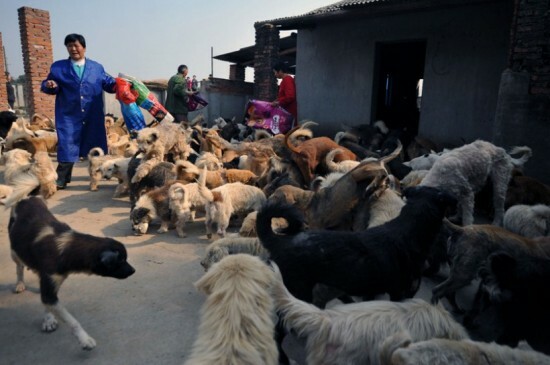 The middle-aged woman says she started out with just a few dogs that she could tend to in her spare time, but as their number kept growing, she had to give up her career and spend her entire day caring to the dogs’ needs. 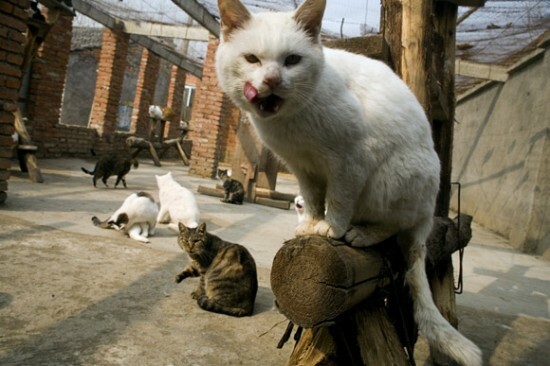 Before she knew it, she practically had her personal animal shelter, complete with 10 workers who look after the dogs, and 2 more who take care of the cats. 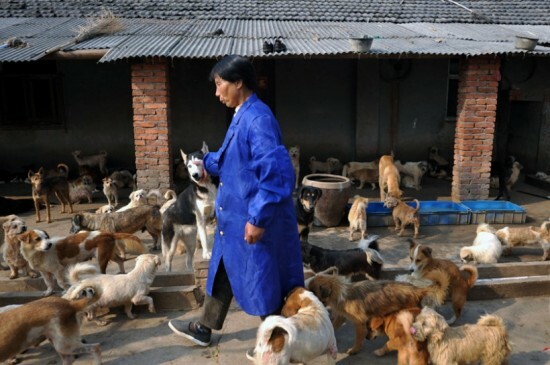 LIFE Magazine first reported on Ha Wenjin‘s amazing animal shelter, in 2006, and the resourceful woman managed to keep the facility outside Nanjing running until now. 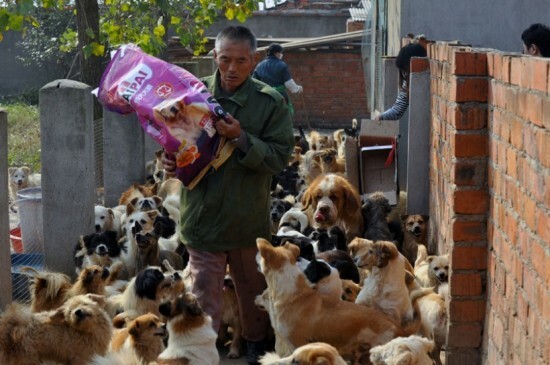 She had a number of volunteers coming in at least once a week to check on the dogs, and people donated most of the food. 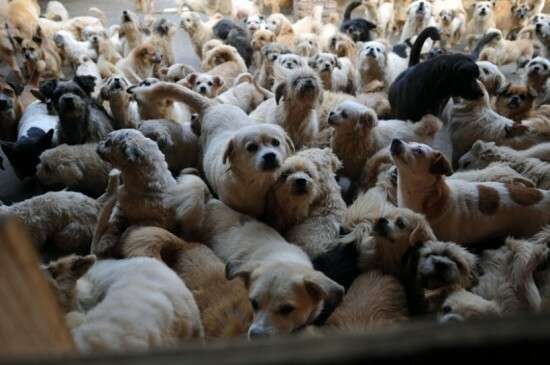 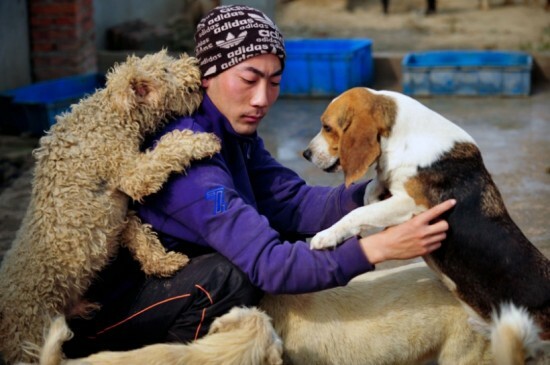 But now, the 1,500 dogs and 200 cats have to move to a new home, as Chinese government officials reclaimed the land the shelter is built on, and threaten to close the place down. 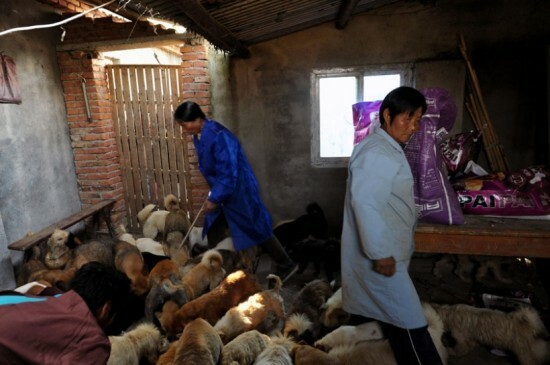 Ha Wenjin had to act fast, and find a cheap but large enough space, where her beloved pets could relocate to. 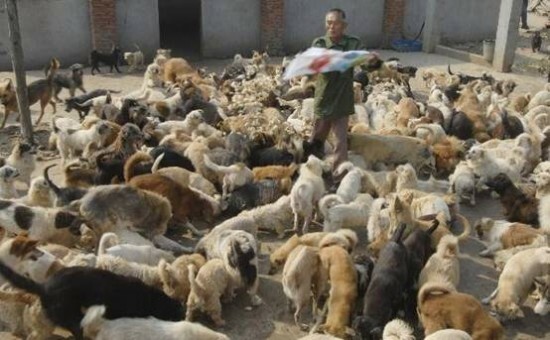 She managed to find it in Houyu village, far away enough from human settlements, because she admits 1,500 dogs are not quiet. 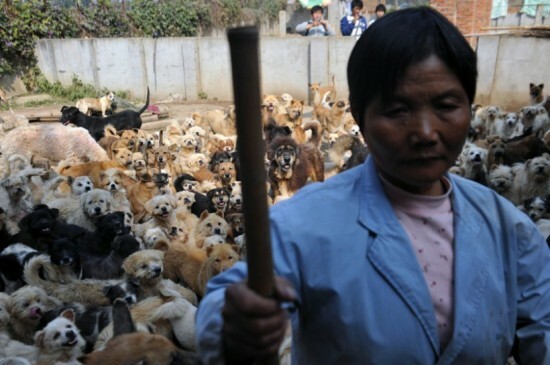 Now all she has to do is find enough volunteers to help her move the dogs with the help of four buses, and clean the vehicles afterwards. 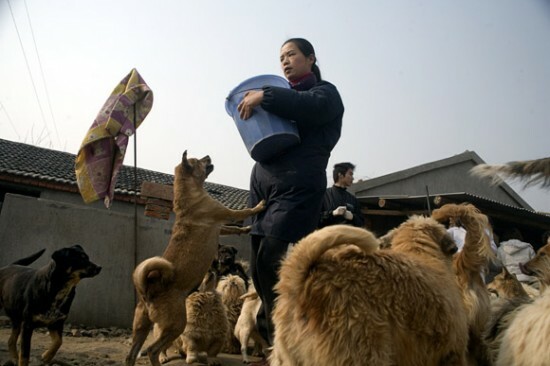 Ha Wenjin definitely has her work cut out for her, but she has no intention of giving up in her fight to save as many stray dogs and cats as she can. 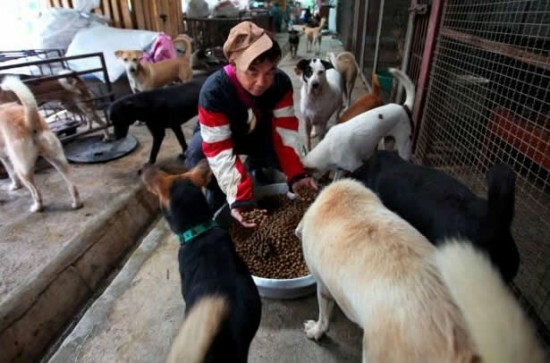 Back in 2006, LIFE Magazine reported it cost around $37,500 a year to take care of the dogs, but now, with more than double the number of animals, you can imagine how tough it is for Ha Wenjin to keep her animal centeropen, especially with no help from local authorities. 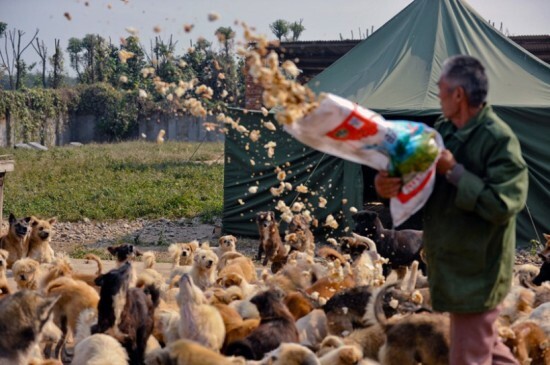 Luckily, most of the food comes from donations, but there are many other things that cost a lot of money. 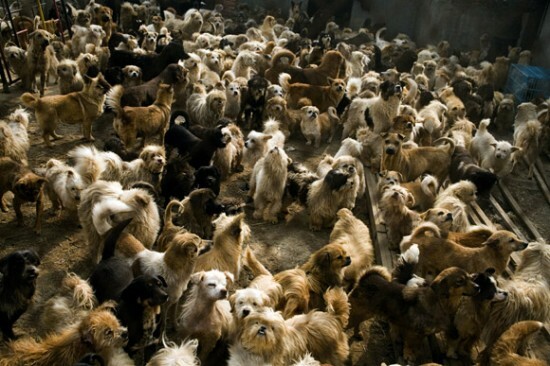 Just to be clear, the animals are not as crowded as the photos show. 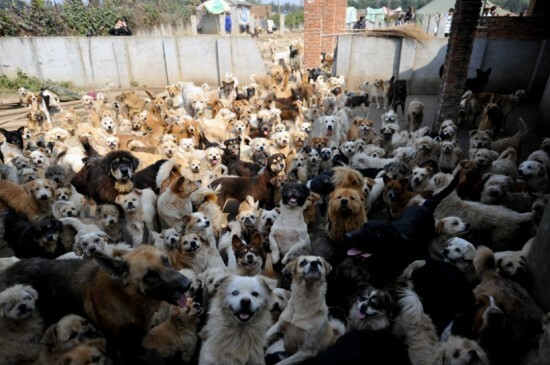 It’s only like this at feeding time.